While Mascarpone (MAH-scar-pon-ay) has many origin myths, the most colorful stems from the Spanish occupation of Northern Italy in the 1600s. A Spanish officer tasted the intensely rich thickened cream and exclaimed that it was “Más que Bueno!” (Better than good!) And the name stuck. Mascarpone is similar to crème fraîche and clotted cream in texture and flavor, although there are slight differences in it’s production. Unlike it’s cousins, Mascarpone is made by coagulating heated cream with citric or acidic acid. The remaining curd is drained, resulting in a thick, almost whipped texture. Mascarpone is famously used in Tiramisu, but can also be whipped into risotto, or served simply with fresh berries and a dusting of cocoa – just to name a few. After intensive product testing (read: alternating through spoonfulls of imported and domestic mascarpones) we began sourcing our mascarpone from Delitia in the Lombardy region of Northern Italy. While most mascarpone is made with the cream of commodity milk production, Delitia uses cream skimmed from the production of Parmigiano Reggiano cheese. The resulting product is a mascarpone that is light and airy in texture, with an intensely fresh, lactic richness and a delicate finish reminiscent of coconut. While air-freight mascarpone can be slightly more expensive than its domestic counterparts, it doesn’t have any of the cloying sweetness of some domestically produced versions, making it a blank slate for either sweet or savory applications. 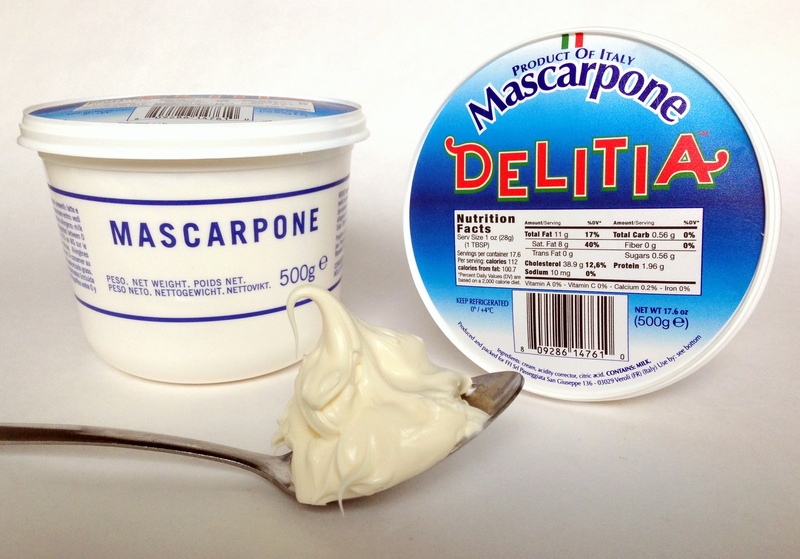 Delitia’s mascarpone is available in 500g tubs, and is kept in stock at Great Ciao World Headquarters.